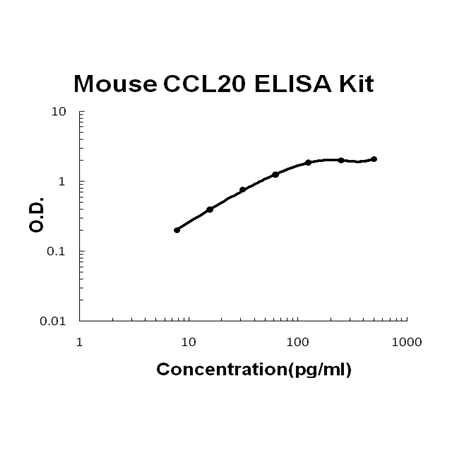 Sandwich High Sensitivity ELISA kit for Quantitative Detection of Mouse MIP-3 alpha/CCL20. 96wells/kit, with removable strips. Prominently expressed in the small intestine, colon and appendix. Also found in thymus, spleen, lymph node and lung. The long form might be dominant in intestinal, and the short form in lymphoid tissues. Chemotactic factor that attracts lymphocytes and, slightly, neutrophils, but not monocytes. May be involved in formation and function of the mucosal lymphoid tissues by attracting lymphocytes and dendritic cells towards epithelial cells. .